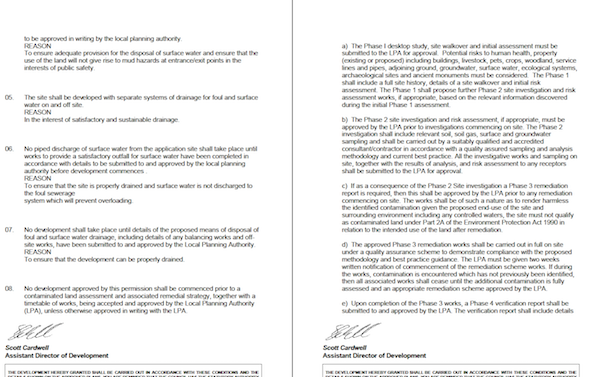 Due to the sensitivity of the development and information held by the local authority a contaminated land planning condition was attached the proposed development. The first stage of discharging the condition was the preparation of the desk study report. Initially the history of the site was researched using a combination of historical Ordnance Survey (O.S.) maps, aerial plates and street level imagery. 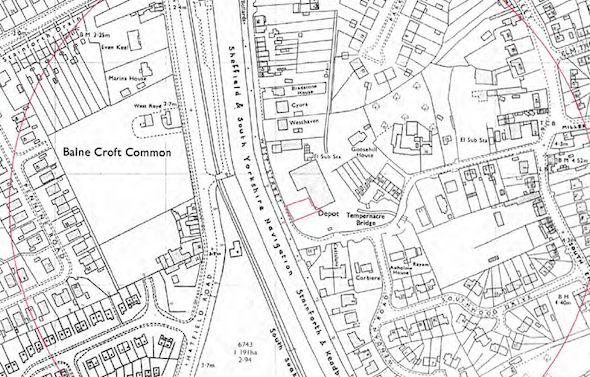 The maps indicated the site formed part of a depot from the 1950’s until circa 2012. A pumping ststaion was identified in close proximity to the site. A review of the planning records for the site revealed two previous applications, which did not contain and pertinent information. Geological maps for the area identified the drift deposits as alluvium, which has the potential to generate ground gases. Data provided by Groundsure and the Environment Agency did not identify any further potential sources of contamination that needed to be taken into account. On completion of the desk based assessment a site walkover survey was undertaken, which confirmed the site was an open parcel of land and is likely to have been used as a contractors compound (building materials were present). 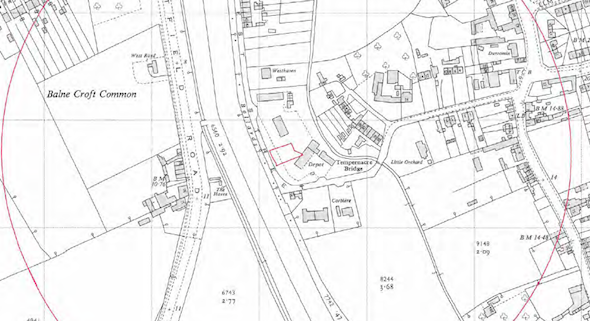 The potential sources of contamination identified int he desk study report were subject to a qualitative risk assessment, the underlying alluvium, former depot and made ground on site were all regarded as potential sources of contamination. 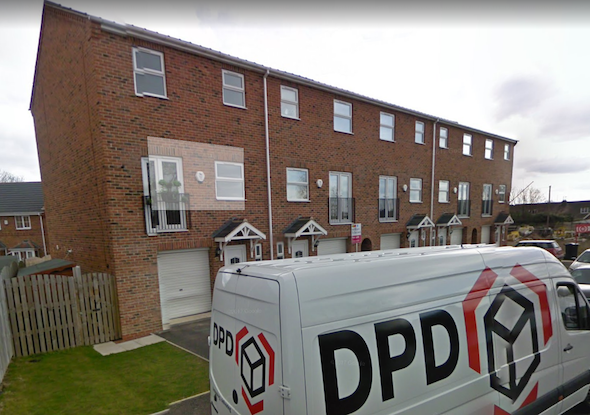 Initially at the request of the client the desk study report proposed remediation in lieu of intrusive investigation, which was rejected by the local authority and proposals for an intrusive investigation were submitted. Once the proposals for the intrusive works were accepted, the works were undertaken, which comprised of the sinking of three dynamic sampling borehole to 5mbgl. Deposits of made ground were identified in all locations. Samples of the made ground were taken and analysed to the suite in the desk study report. Analysis of the chemical data indicated the made ground posed a potential risk to humans and flora, hence remediation was proposed. Once the proposals for the remedial measures were accepted the Phase IIIa Implementation was prepared to ensure all parties were aware of the remediation requirements and to obtain regulatory approval of the works. 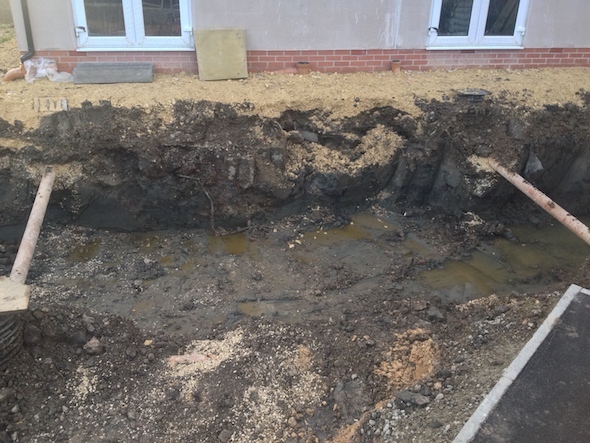 The remedial works entailed the removal of all made ground from the garden areas as well as chemical analysis of the imported topsoil (to ensure it was suitable for use) as well as validation of the gas protection measures incorporated into the buildings. 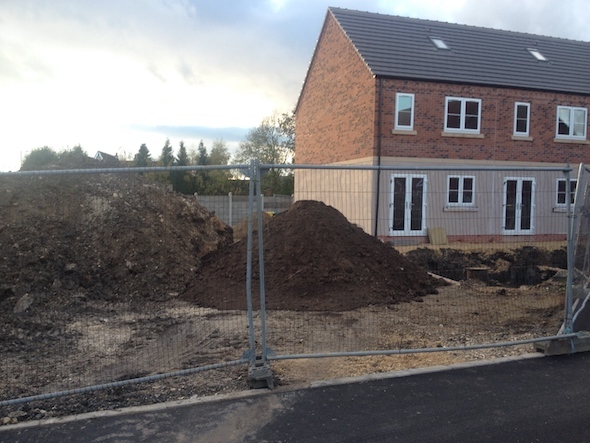 Once the remedial works were inspected the Phase IIIb Completion report was compiled and submitted, which discharged the last part of the contaminated land planning condition.